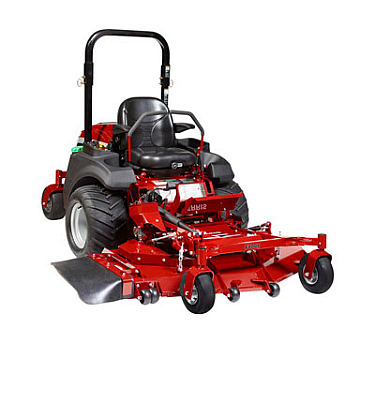 The Lawn Mowing season has come to an end and your Lawn Equipment is ready to be put away for the winter. 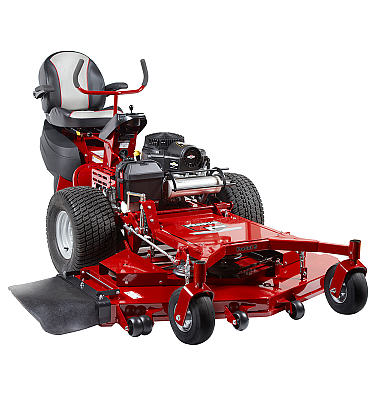 Now is the perfect time to get your Outdoor Power Equipment serviced and ready for spring. 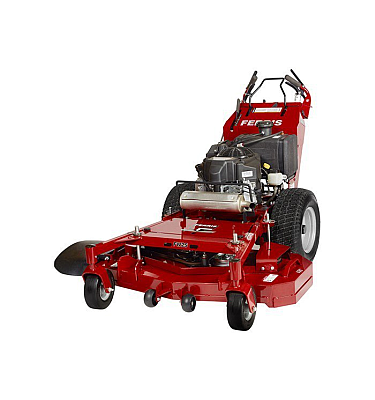 As we all know, the life of any Lawn Mower or Handheld Power Equipment is determined by how well it is maintained but sometimes we just get to busy to maintain it properly. 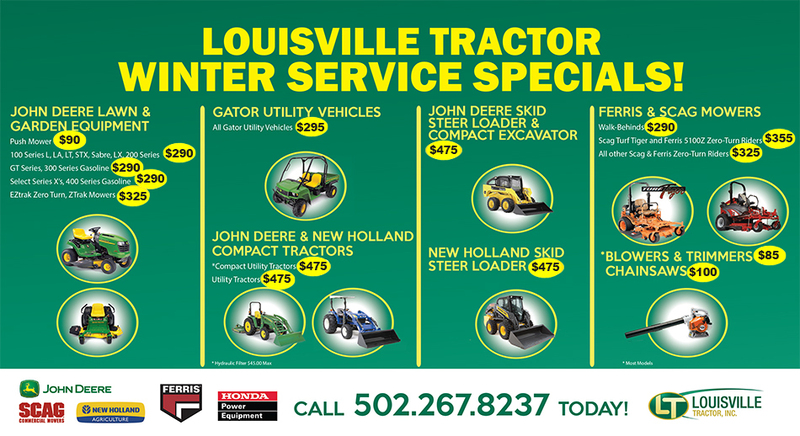 Let Louisville Tractor do the maintenance for you -Each year Louisville Tractor offers a "Winter Service Special" to it's valued customers. The Service Special will run from October 15, 2018 through February 28, 2019. 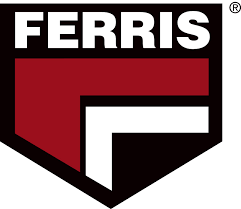 Simply click on the icon below or call our friendly Service staff and they will gladly assist you in scheduling a transportation of the equipment to Louisville Tractor or if you prefer simply drop the unit off during our regular business hours. 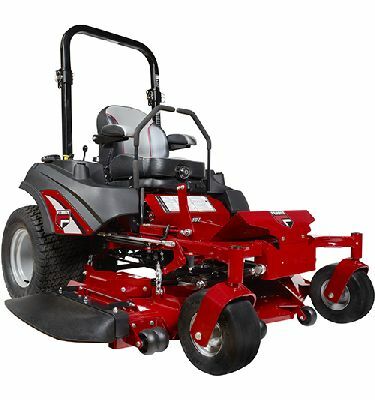 Disclaimer: This "Winter Service Special" applies to all John Deere Push Mowers, John Deere Lawn Mowers, John Deere Zero Turn Mowers, John Deere Gator Utility Vehicles, John Deere Compact Tractors, John Deere Utility Tractors, John Deere Skid Steer Loaders, John Deere Compact Excavator, New Holland Compact Tractors, New Holland Utility Tractors, New Holland Skid Steer Loaders, Honda Push Mower, Honda Walk Behind Mowers, Scag Walk Behind, Scag Zero Turn Mowers, all Stihl Hand Held Product, all Shindaiwa Hand Held Product, all Echo Hand Held Product, Ferris Walk Behind Mowers and Ferris Zero Turn Mowers. 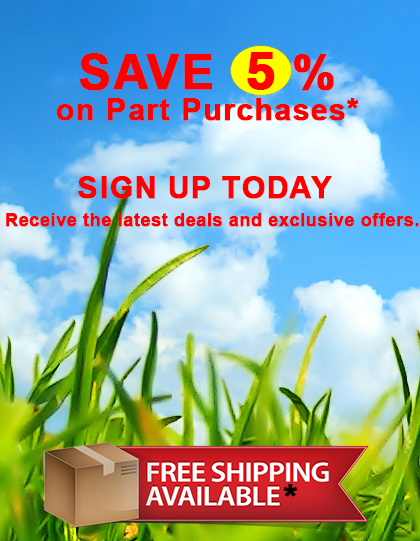 For a complete list of parts and services performed please click on the listing of your unit on the flyer above. Transportation to and from Louisville Tractor are at owners expense. Ask about our convenient pickup and delivery if needed. 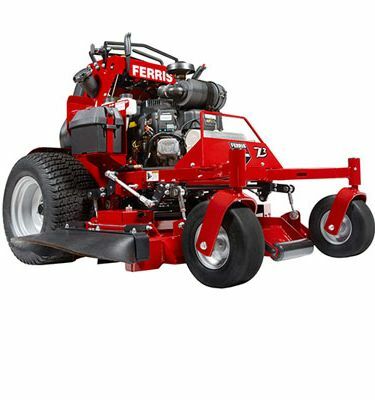 Some equipment may require additional parts to complete a service - we will contact you with an estimate if necessary.